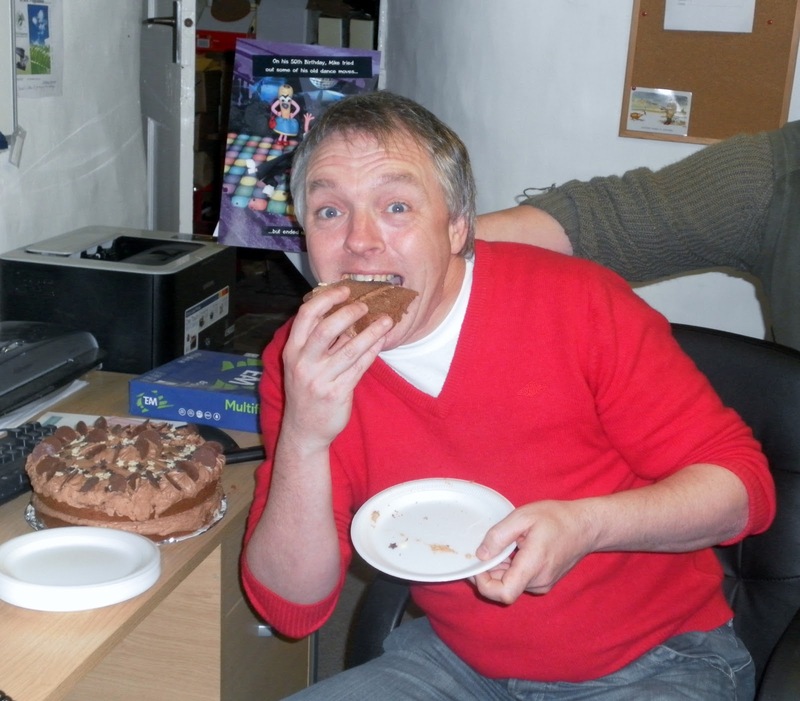 This week staff at the museum surprised director Mike Benson with an oversized card and a delicious chocolate birthday cake to mark a special birthday! Happy Birthday Mike! Many happy returns. On Sunday 27th March I was lucky enough to have been invited as representative of Ryedale Folk Museum to the AFMC annual mess luncheon in Pickering. I was invited as 'guest of honour' and enjoyed wonderful hospitality and a delicious three course meal! AFMC have been working with Ryedale Folk Museum for some years now and have helped to make Junes 1940s weekend event a really wonderful feature on the museums calendar. This years event 4th -5th June will feature re-enactments, activities and more. There will also be an evening 1940s village hall dance with live performance from Miss Marina Mae. Tickets for the evening are available now, see the website for details or give the museum a call. I would like to thank AFMC for all their help and support during our events and for all their wonderful contributions over the years. Re-instating of the Folk Museum Tractor! In early March the tractor which stands proudly outside the entrance of the museum was re-instated after a brief absence. It has been tweeked, painted and polished and now looks better than ever! Whilst researching in the museum's library today anything to do with Bert Frank (Ryedale Folk Museum's founder I stumbled a cross the 1890 edition of the Bulmer's History & Directory of North Yorkshire. Similar to a census it provides a valuable insight to life in the region at that particular time. The remarkable difference between 1890 and present day are the number of people who are skilled in their profession. The small rural communities before the advent of the motor car would be very reliant on local tradespeople, will things revert back to how they once were with the surge in fuel prices? 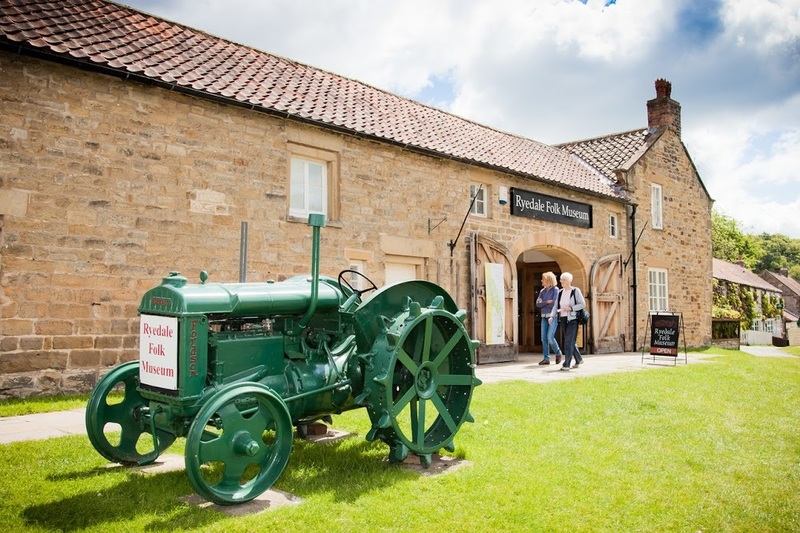 Sunday 27th March 2011 will see the museum run by students from Lady Lumleys for the Tractor Run and Fun Day. The day will help raise money for the Harrison Development Project. Details of the event are on the website and Kev will be serving his famous barbeque sausages in buns. There'll be face painting, crafts, demonstrations and lots more. Tractor Runners will also be treated to a pie n pea supper after the run. Hi I am Maud a french volunteer, and I am spending two weeks at the Ryedale Folk Museum. 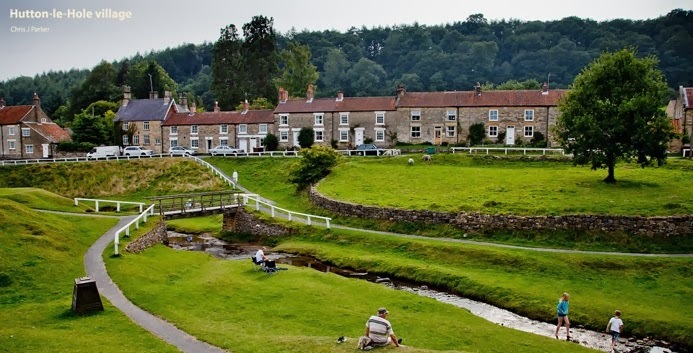 The ryedale folk museum accepted to welcome me during my trip in the goal of meeting people to practise my english and of course discover the museum and the history. After this visit, Emma taught me a typical activity. This was how to Rag Rug. I have learnt that Rag Rugging was a really important job and I found it rather easy to follow but it's because Emma was a patient teacher. We have used these fabrics yesterday to make rag rugs, it was funny and easier than I thought. To begin with I want to say a massive welcome to Maud. She had been absolutely fantastic these past few days. She has been a great help and I have to say her English is amazing. My french isn't as good now but I still know how to have a conversation. (BONJOUR TOUT LE MONDE!!!) I really enjoyed spending time with Maud, she is a really kind and funny person. I will need to see her in France one day. I have learnt a lot from Maud and she has learnt a lot of english phrases and sentences from us which is great in my opinion. I think this has been one of my best weeks because it is good to use the french language once again and I have had lots of fun. It isn't going to be the same without Maud. So we are so going to make the most of it. I may take Maud out for something to eat. Fish and Chips anyone!!! Overall I have had a great time getting to know Maud and I am sure she will come back and visit. Au revoir tout le monde!!! The museum was donated garments from the Waind family, the Wainds originated from Ankness Farm, Bransdale but left in 1938 to farm in another part of Ryedale. Among the images that are here is a family tree section of the Wainds. The family name is still commonplace in the area, there is a Wainds Coal merchants in Helmsley and a Wainds butcher in Kirkbymoorside. Is there anyone reading this who is or knows of someone called Waind? Please tell them to get in touch with the museum as we are exhibiting the clothing in the Autumn. The exhibition will be available to view until the 7th April 2011. "I never imagined them to ever be in glass cases, it was just a bit o'fun when it started."